Nine delegates composed of six faculty members and three students from Health Polytechnic of Palangka Raya, Central Kalimatan, Indonesia were trained at St. Paul University Philippines on December 1, 2017. The faculty members represented three departments of their institution - Nursing, Nutrition and Midwifery; while, the students represented the three-year levels of their Diploma in Nursing. The group arrived in coordination with Dr. Jeremy Godofredo Morales, (Director of International Relations), where he headed the tour around the campus on the same day. 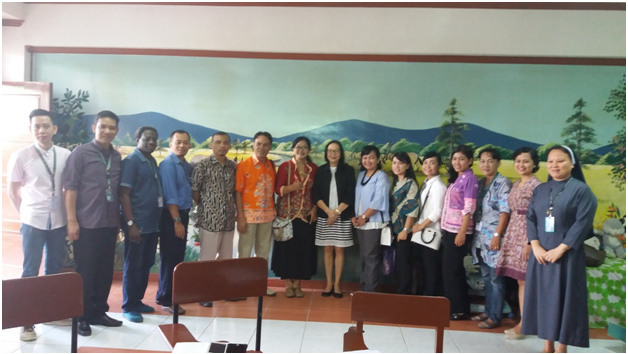 After which, the Indonesian delegates were then endorsed to the School of Nursing and Allied Health Sciences for series of lecture discussions and class observation. Dr. Elizabeth C. Baua, (Dean of SNAHS), together with Dr. Anunciacion T. Talosig, (Associate Dean for Nursing), warmly welcomed the delegates in the department. Ms. Cory C. Manuel, MSN, discussed the Basic Life Support by presenting guidelines oncommunity-based first aid interventions. This was followed by the presentation and discussion by Dr. Anunciacion T. Talosig on the Philippine Nursing Education. In the afternoon session, the lecture was facilitated by Dr. Josephine D. Lorica discussing Basic Research Ethics followed by the lecture of Dr. Elizabeth C. Baua regarding the Program and Curriculum of Nursing Education in SPUP. 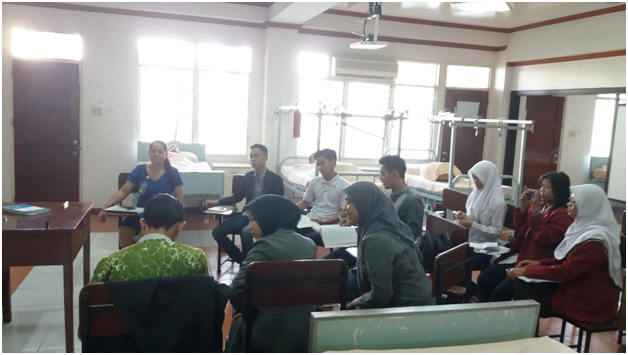 Simultaneously, the three students did class observation during the PBL session of the Indonesian Nursing exchange students from STIKES Sari Mulia with Ms. Katherine Arellano as facilitator.